The Irish literary community was recently devastated by the loss of the brilliant award-winning author Emma Hannigan after her battle with cancer. Emma was an ambassador for Breast Cancer Ireland and a very popular novelist who wrote The Pink Ladies club and The Summer Guest. Emma’s latest novel called Letters to my Daughters is currently sitting at the top of the Irish Bestsellers book chart. The book itself details the complicated bonds between women and their mothers, and how happiness comes in many forms. Emma will be fondly remembered and leaves behind a legacy through her captivating works. From publications to novels about growing up in Ballymun through the face of adversity and immense loss, to the satire Gospel according to Blindboy Boatclub and an intelligently written novel about two Irish students who make an unexpected connection, here is a selection of Irish Authors worth keeping an eye on. Sitting at the top of the list, Dublin GAA star Philly McMahon, a Ballymun native. 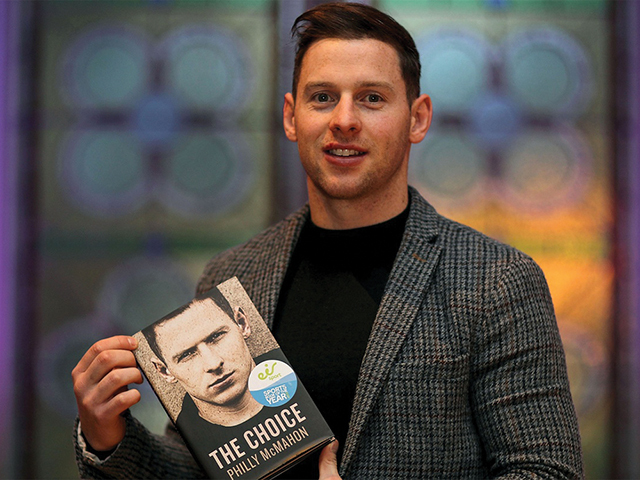 The Choice a book written by Philly with Niall Kelly. The book is about Philly’s brother John that struggled with addiction, it details Philly’s earliest memories of childhood in Ballymun and notes the changes in both his and his brother’s lives, and what pushed them on to very different paths in life. Inspirational, vivid and very moving. The book last year won the Eir Sports Book of the Year Award. Philly is definitely one to keep an eye on displaying talent on and off the field. Secondly, Dave Chambers [aka Blindboy Boatclub], one half of Irish hip-hop comedy duo the Rubberbandits. The bag-men shot to fame after the release of their rap video Horse Outside went viral. Blindboy has turned his creativity and eye to writing and released The Gospel according to Blindboy. A genre-defying array of short stories and visual arts that explores contradictions at the heart of Modern Ireland. Filled with laughter and hilarity, the book itself will shock and delight readers. Blindboy’s writing career has just begun and no doubt he will continue with his success. 26-year-old novelist Sally Rooney debuted last year the enjoyable Conversations with friends. Sally debuted her first novel and was met with critical acclaim. The book is about two college students from Dublin who cross paths with a married couple and spark an unintentional connection. The book stands out for its emotional complexity. Poignant, contemporary and an engaging read. Sally already destined for success in the literary world has won the Sunday Times/Peters Fraser & Dunlop Young Writer of the Year Award. She also won Europe’s number one debater when she was an undergraduate at Trinity College. Make sure to keep an eye on this talented lady. Pen to paper, the above-noted authors Philly, Dave and Sally are most certainly going to be rising stars in the writing world. All noted author’s books are available online for purchase and in Eason’s stores nationwide.